WANTED - Various items for my 69 Superior - Friends of the Professional Car Society - Official Website of the Professional Car Society, Inc. I've been gathering parts for the restoration of my 69, and thanks for the help of a number of PSC members, the list is getting smaller. Seat belts in the back of the rig, never saw that before. Good luck on your restoration. I saw a complete full box of old switches and moldings on another forum for sale, cheap, will try to get the link for ya! Jean Marc, I wish I could help, but I don't have anything like this. What a difference 6 model years makes. One 69 owner to another..
Jean-Marc, are those the only items you are looking for? PM when you get a chance. Just in case you get any leads from this thread, for parts, I need the same seat belts, floor fixture, wall attach fixture as you do in the event you find doubles. Also I need one of the same switch plate mouldings, particularly the large panel. Just an option if either of us can not find the mouldings, I would be happy to collaborate with you to have the switch plate mouldings custom made for us, as I have an idea how to go about it. Do you remember the mention of this coach we purchased last summer? Under the white carpet the floor was stripped along with divider glass, cot bar, cot bar brackets, cot etc. 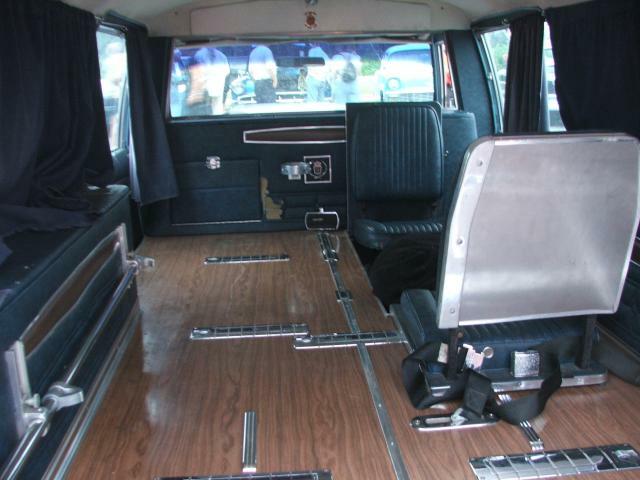 Well with the help of society members exclusively, we now have assembled everything to restore the rear compartment except for the complete seat belt setup, having the curtains made, and the new floor installed. I was trying to suprise everyone when I was done but I guess sometimes it's difficult. So here are some before pictures.